Pinlo has released its Concize Mertal 2 case for the iPhone 5 that for once looks to compliment the new design with a stylish sleek design without breaking the bank at $35. Pinlo's Concize Metal 2 case is an ultra-slim and lightweight hybrid made, snap-on case featuring a protective polycarbonate inner shell with a brushed aluminum outer casing with what looks to be polished chamfered edges identical to that of the iPhone 5. Note that with an all-aluminum back covering the iPhone 5 you may experience reception degradation, but we can't confirm that to be true with the Concize Metal 2 in particular. 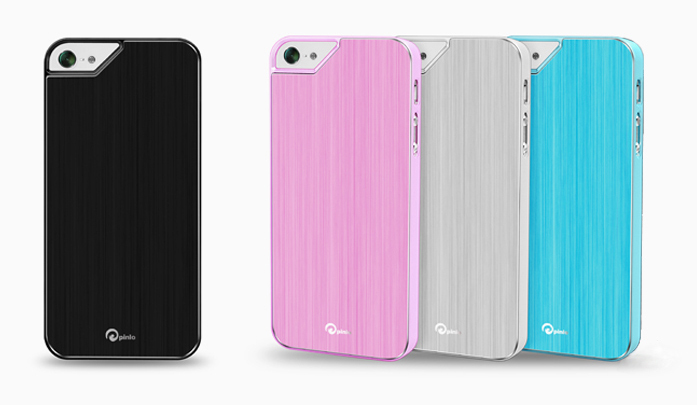 The Concize Metal 2 case is available now in black, white (raw aluminum), pink and light blue colors.